Carbohydrates are a nutritional fundamental for prestigious fitness competitors and sportsmen. Carbohydrates are a primary macronutrient used within ATP production in the body which are digested to produce vital sources of energy during physical activity. These essential macronutrients can be categorised into two main categories; simple carbohydrates and complex carbohydrates. To deliver an instant release of power building energy simple carbohydrates, possessing a high Glycaemic index (GI), are an essential dietary component for athletes. However, for a sustained release of long term energy it is crucial for any ambitious professional to consume an adequate quantity of complex carbohydrates, with a low GI. 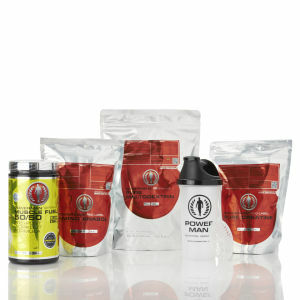 The Powerman carbohydrate range sources a series of carbohydrate formulas comprising of the highest standard ingredients.